Colt Ford, born Jason Farris Brown in Athens, Georgia USA on 27 August 1970, is a rapper, musician, and songwriter, known for combining country music with hip hop. He has released six albums under his label Average Joe’s Entertainment. His hits include “Back” and “Drivin’ Around Song”. 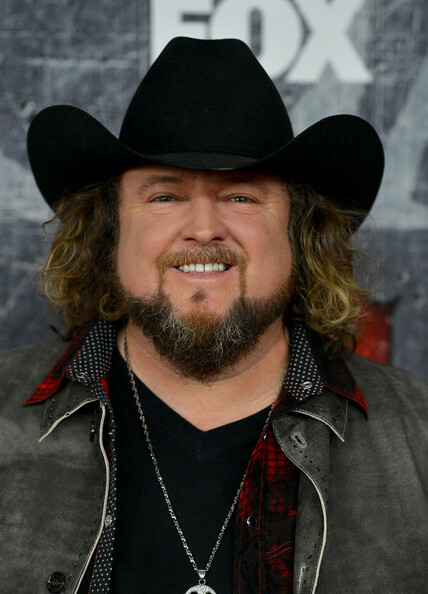 So just how rich is Colt Ford? According to sources, he has an estimated net worth of $4 million from his music career. Aside from his albums, he has earned his fortune from his producing and songwriting credits. Colt started as a professional golfer but later switched to a career in music, when he took his stage name. Coming from Georgia, he grew up listening to country singers Dolly Parton, Kenny Rogers, Waylon Jennings, Willie Nelson, and hip-hop artist Run-DMC. He was in his teens when he made his first recording, a rap album. His musical influences explain his distinct sound of country and hip-hop, earning him the titles country rap and hick-hop. Although he hasn’t made it big in Nashville yet, he still has a growing fan base, blurring the lines between country and hip-hop. He began writing songs with artists Jamey Johnson, Jeremy Popoff, and alternative rock band Lit. He then came to write “Buck ‘Em”, the theme song for the Professional Bull Riders, Inc, and made his national debut performing this song at the 2007 Pro Bull Riding competition at Madison Square Garden. Afterwards, he co-founded the record label Average Joe’s Entertainment in 2008 under which he released his debut album “Ride through the Country”, which entered the Billboard Charts later in 2009, and included the singles “No Trash in My Trailer” and “Ride through the Country”. His second album, “Chicken & Biscuits” was released in 2010 followed by “Every Chance I Get” in 2011. His fourth album, “Declaration of Independence”, released in 2012 included the hits “Back”, (ft. Jake Owen) and “Drivin’ Around Song”, (ft. Jason Aldean) which both garnered US Gold status. His next album, “Thanks for Listening” was released in 2014, while his most recent album, a greatest-hits compilation, “Answer to No One” was released on October 2015. All of these albums contributed significantly to his growing net worth. Four out of his six albums have charted in the Top 10 Billboard Country chart, with the third and fourth albums landing on Billboard 200 at #4 and #10 respectively. The single “Dirt Road Anthem”, which he co-wrote in 2010 with Brantley Gilbert, was nominated for a Grammy for Best Country Solo Performance and the Country Music Association Award for Best Song of the Year and won the Billboard Music Award for Top Country Song. Then in 2011, he was nominated for Vocal Event of the Year with his song “Cold Beer” at the Academy of Country Music Award. Currently, he is doing some shows and will be joining Brantley Gilbert’s US summer tour alongside Justin Moore. His net worth is still growing. In addition to his music credits, Colt Ford appeared in the 2001 movie “Joe Dirt 2: Beautiful Loser” performing his song “Diggin’”. In Colt’s current personal life, Ford is married to Jessica, a hairdresser, and they have two kids. Around 10 years ago, his wife was diagnosed with a rare disease called Morgellan’s, which effects the skin – the source is as yet unknown, so there is no cure, but it is not fatal. The Baytown Outlaws 2012 performer: "This Is Our Song" / writer: "This Is Our Song"